The Pea Sheller With Adjustable Rollers! We’ve taken all the advantages of the more expensive pea shellers and made them affordable for the residential gardener. Cheap fixed-roller pea shellers often mash peas or are hard to feed. We’ve remedied that with an ingenious way to adjust roller with a turn of a screw on each side. Small turns of a hundredth of an inch makes a big, big difference. We’re using the most advanced roller technology to give strong gripping power and long life. Our rollers should last 7 to 10 years, even under the most strenuous residential use. Oh yeah, and they’re replaceable. We shielded the rollers, front, top & back to prevent fingers and hair getting caught. We’ve tried to make it as safe as possible. Of course common sense is required when operating any type of machinery. Our system tears the pea hull along the seam rather than have them pushed out the back. This dramatically reduces mashing, increases yield and eliminates bruising. Simply attach a mixer and you’ve got all you need to shell 2 bushel of peas and hour. Slow to medium speed for purple hull & cream 40’s. Medium to fast for butter beans and large peas. 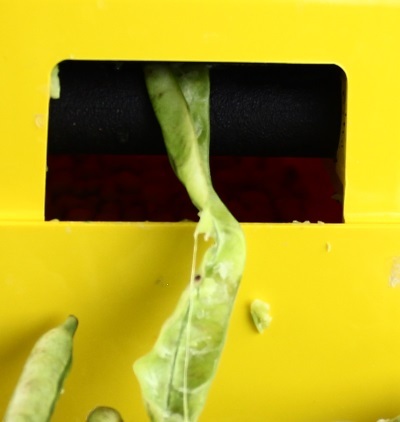 People tell us the main reason they don’t plant butter beans is because they are too difficult to shell. Can’t argue that! 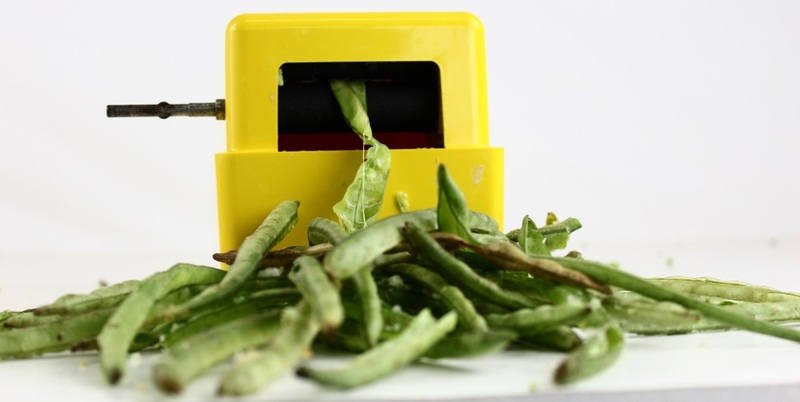 Well, good news, the PoBoy Pea Sheller can handle butter beans with the same ease as purple hull- no adjustments needed! So what are you waiting for? 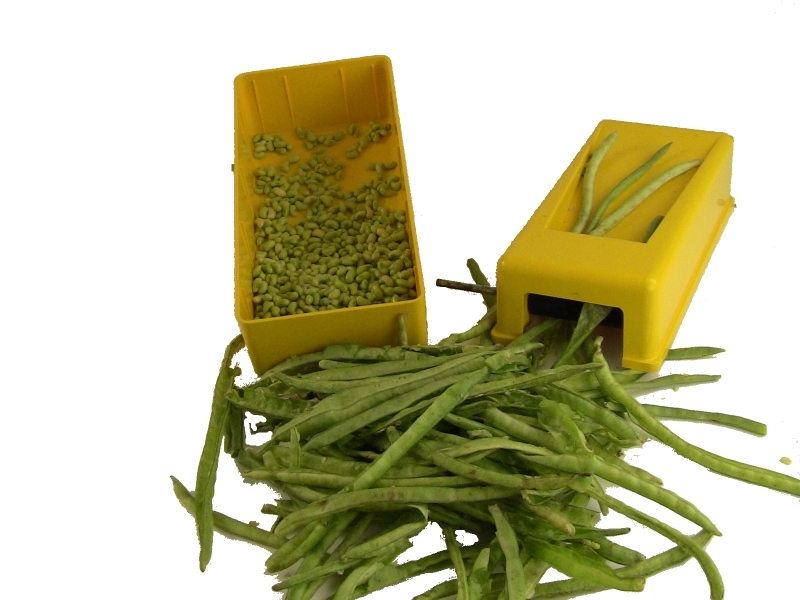 We will soon be taking orders for the PoBoy Pea Sheller at an introductory price. Please complete the form below to be contacted soon to place your order. By signing up below you are not obligated to purchase the PoBoy Pea Sheller. We are only gathering names of people who might be interested in the PoBoy Pea Sheller.